I am using the image called Snorkel Ellie.. I fussy cut her out and colored her with copics and pencils in a few places. 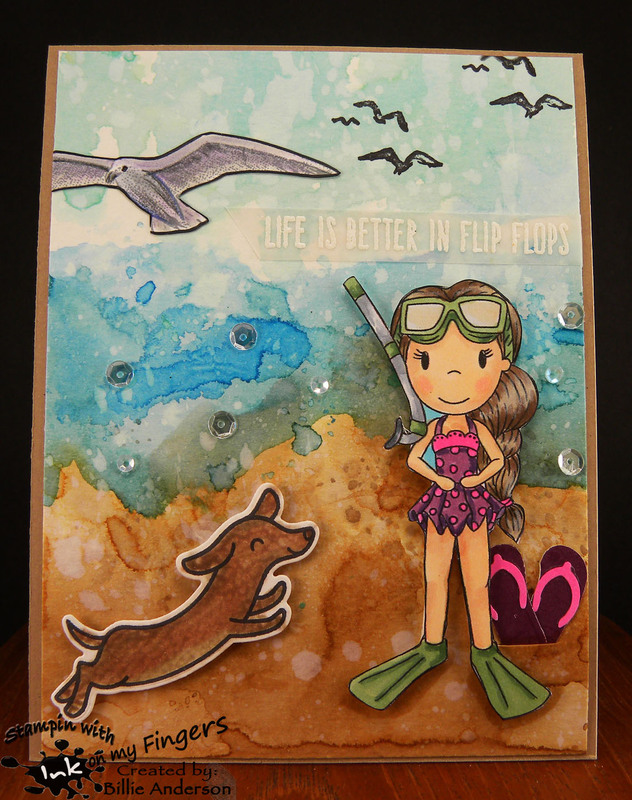 I then used water color paper and Ranger inks and created the sand, water and sky. I added some drops of water and dried the background. I then colored the dog (Lawn Fawn) with copics and used a terry towel with colorless copic to give texture and the seagull (?) I colored the seagull with Prisma pencils.. I used an EK punch for the flip flops. I made a slit in the sand and stood the flip flops up so they looked like they are stuck in the sand. I added some stamped seagulls (?) and heat embossed in white on vellum the Simon Says sentiment. To finish it I used Sequins to give sparkle to the water area.. 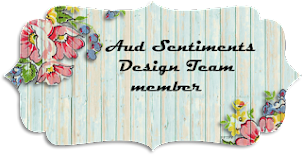 If you need inspiration please head over to the Aud Sentiments site and see what the DT created. Well this is not my favorite technique but I wanted to give it a try again and being on the DT I don't think I have the option that you do... LOL ... I have only made one or two shaker cards because I get so confused on what all to do. I think maybe I should of made the foam wall around the balloon one more row higher.. Also the sequins are sticking to the inside of the clear film.. I was afraid to use my embossing static powder tool because I did not want powder to leave a film.. now that it is done I guess I could of used a fabric dryer static sheet.. Duh.. I think maybe that would of worked?? All in all I am happy with it.. 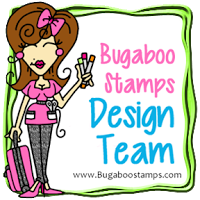 I took my Stampin up itty bitty background stamps and some Versa Mark ink and stamped on the pink. 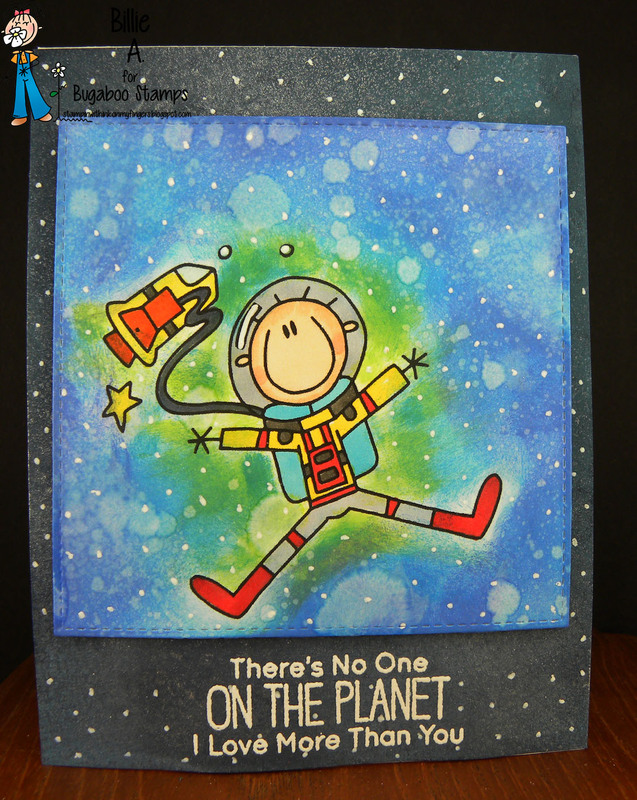 I also used an over all large star stamp and Versa Mark and stamped the kraft. I use the balloon die from Simon Says and I used a My Favorite Things beary special image and die and cut off the balloon he was holding and added some floss and added the bow and string into his hand. 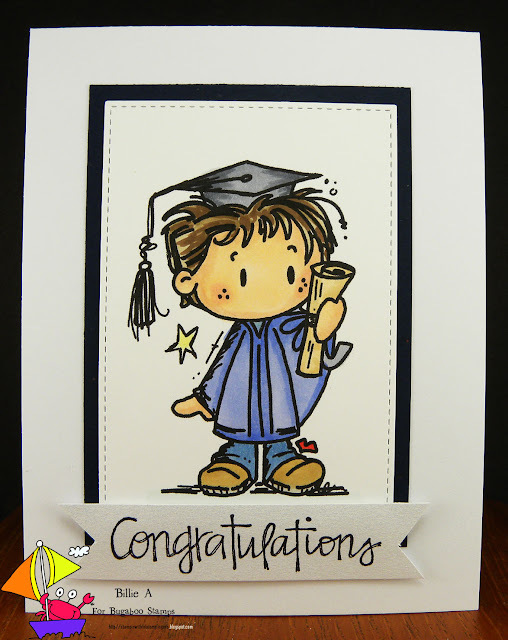 I colored the image with copics and used the sentiment from MFT and heat embossed it with Stampin up black. I used sequins and micro mini beads in the shaker card and Nuvo drops in teal on the card. I added some white gel pen dots to the bear. 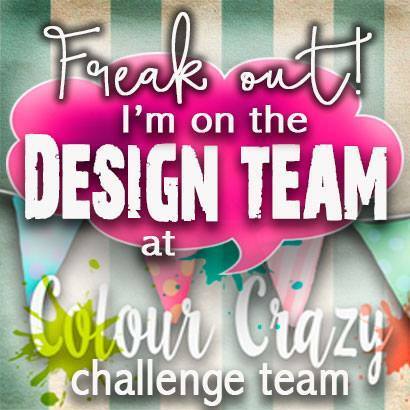 Head over the Inspiration Destination site and see what the Design Team created get some ideas if you need help. 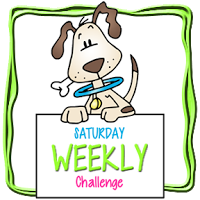 It's my time to chose the theme so I chose PLAID.. Our challenges run for two weeks so I hope you play along. I love plaid.. I have made quilts with plaids because I love the variety and the look. Same goes with cards.. papers. LOVE them. This is my card.. I made the PLAID background. I used my Kuretake Gansai paints on water color paper. I used a wide and narrow paint brush and various colors. When it was done it felt like it was missing something so I took my black Sharpie pen and just drew various black lines. (using a ruler as a straight line guide) Then I liked it.. I wish you could see this in person. I have to admit it's stunning. I then thought what color flower do I want to do.. so I found a Paper Trey Ink flower stamp and die and grabbed some Stampin up inks and stamped and die cut the flowers. 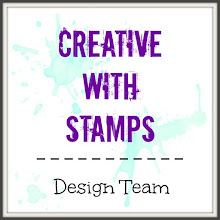 I used Stampin up leave die. The sentiment is from PTI. I finished off with Nuvo drops in teal.. I mounted it on a piece of yellow card stock.. The black is just backing for photo shot.. It's not a part of the card. Check out the Design Teams PLAID creations. 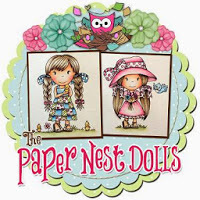 New Release at Catch the bug.. 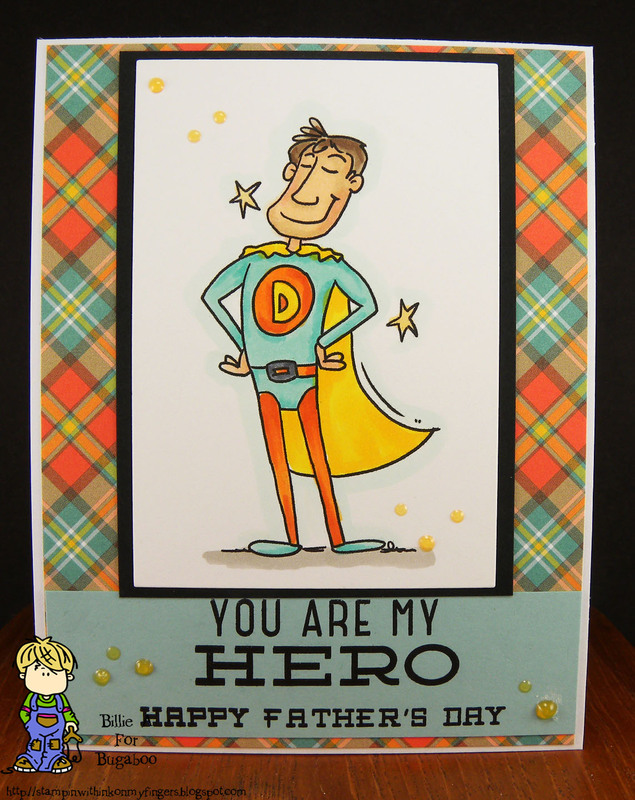 This is Super Dad.. just in time for Fathers day.. I picked a fun designer paper and thought it would be a good manly paper. I love plaids. I then colored the image going by the colors in the paper. I added Spectrum Noir glitter pen to the card and Nuvo drops. The sentiment is from Simon Says. It's perfect huh? I love the colors. I hope you have time to check out the Catch the bug site and see the DT's creations. It's almost the end of May.. Memorial weekend.. Time to go camping and see the beautiful night sky.. Perfect time to pick up the FF image.. Astronaut rocket.. So this is Astronaut rocket.. I used My Favorite Things square die to cut the image out. I then added Ranger inks and blended and spritzed with water. I then took a piece of dark blue card stock and used some of the Oxide Ranger inks and went over it and spritzed with water.. You really don't see the water marks on it so I spritzed with some My Huey spray to give shine... I have to play more with Oxide inks and figure what can be done. I used white gel pen and went over both layer with dots. I colored the image with copics and white embossed the sentiment from My Favorite Things. If you need inspiration on what can be done with this image.. head over to Catch the bug and see what the DT created. OMG I love this card. I used one of my Gelli plate papers I created a long time ago. I thought this looked like a tie dyed paper.. So I took My Favorite Things shirt die and cut it out making sure I had the red part at the bottom because I wanted to stamp the sentiment across the chest of the shirt.. stamp is Simon Says. This just makes me smile. 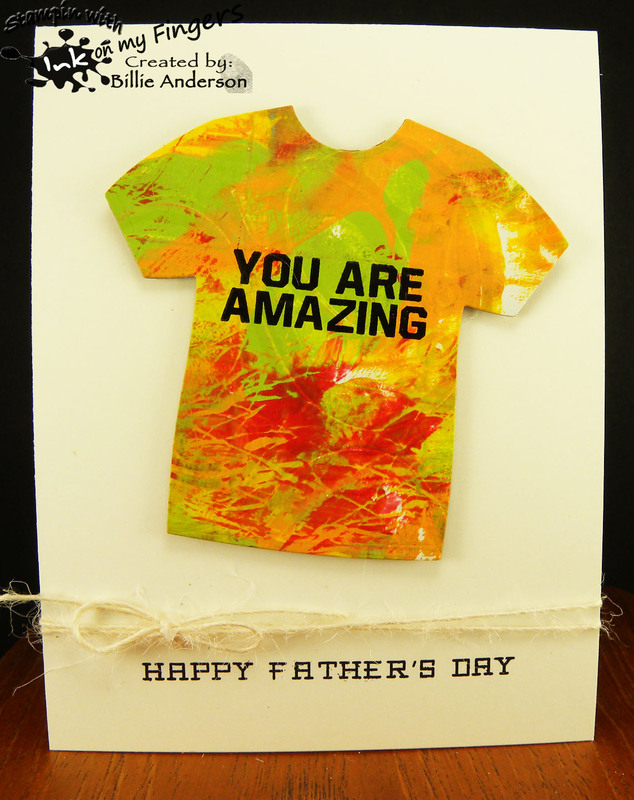 The shirt is so colorful I just added the Simon Says Happy Father's Day and twine.. what do you think?? This would be great for that rad dad.. This card was so simple to create. sentiment and copics for the coloring. That's it.. 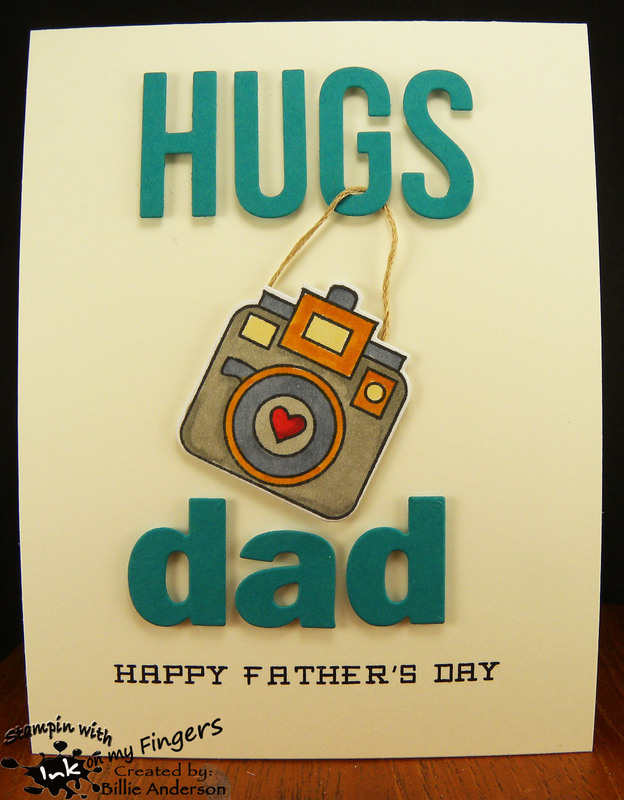 I hope these cards inspires you to grab these images up and visit the Bugaboo store maybe there's something else that will catch your eye.. If you need more inspiration please head over to Catch the bug blog and see what the design team created with the images. 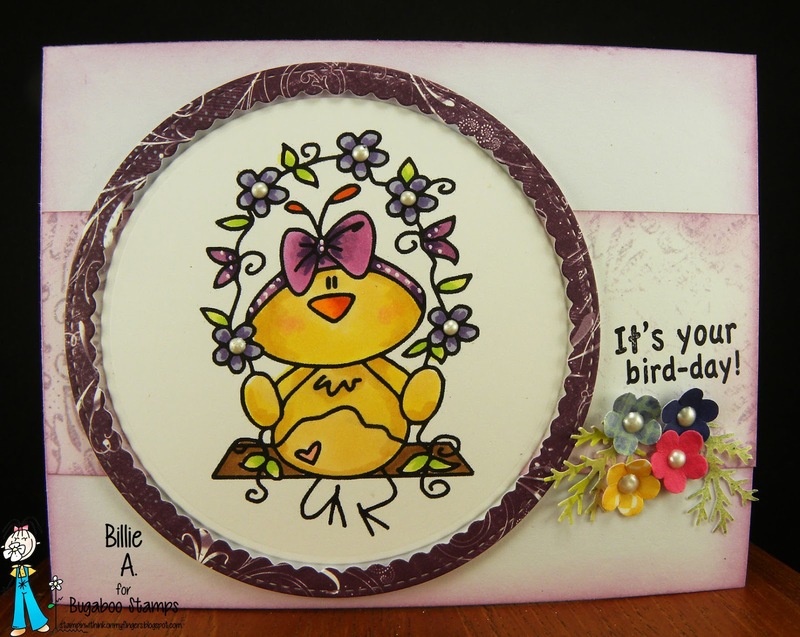 I have been having so much fun in my craft room making cards. 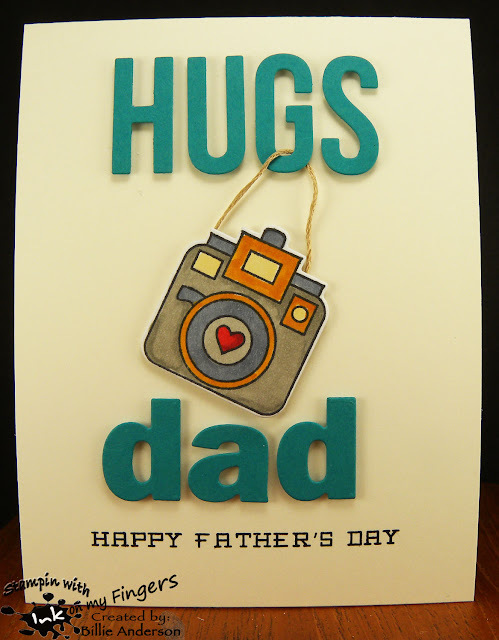 I try to make one daily.. With Father's day coming I want to get some cards made.. I am getting request from people who need them.. 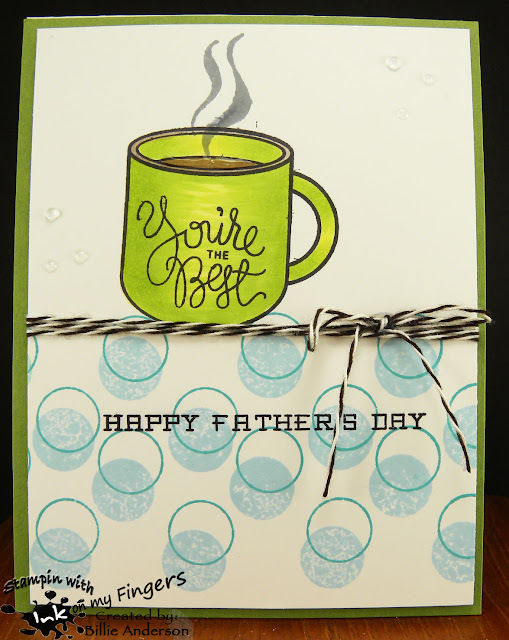 I am not sure I like this card though.. mainly because I don't like the coffee cup not having any grounding. I did the dots by Paper Trey Ink.. it's two stamps a ring and solid circle. I used Ranger inks. When that didn't work I tried the Jelli bean twine.. Still didn't ground the cup but better.. The coffee cup is Simon Says stamp. The sentiments are from Simon Says.. I added some clear Nuvo drops to the coffee area and few drops around card. I colored the coffee cup and coffee with copics. 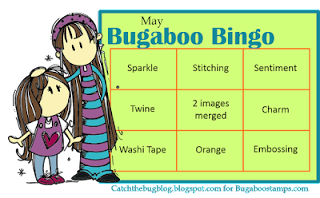 We have a new challenge at Catch the bug.. BINGO.. I love bingos. so many choices. This is the BINGO card.. I liked the Guy and dog Free Friday earlier this month.. I had to use again.. 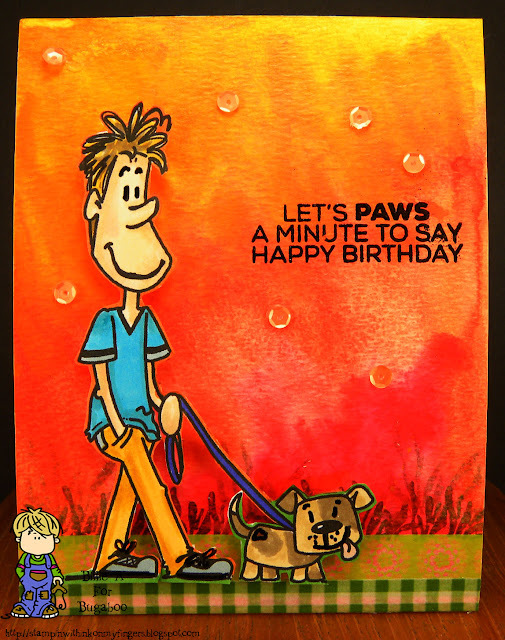 I chose the bottom row.. Washi Tape (along the bottom of my card) Orange (background/pants/sequins) Embossing (sentiment) I am using the image called Guy and Dog which you can find at the Bugaboo store I used Kuretake Gansi Paints and created the background on water color paper. 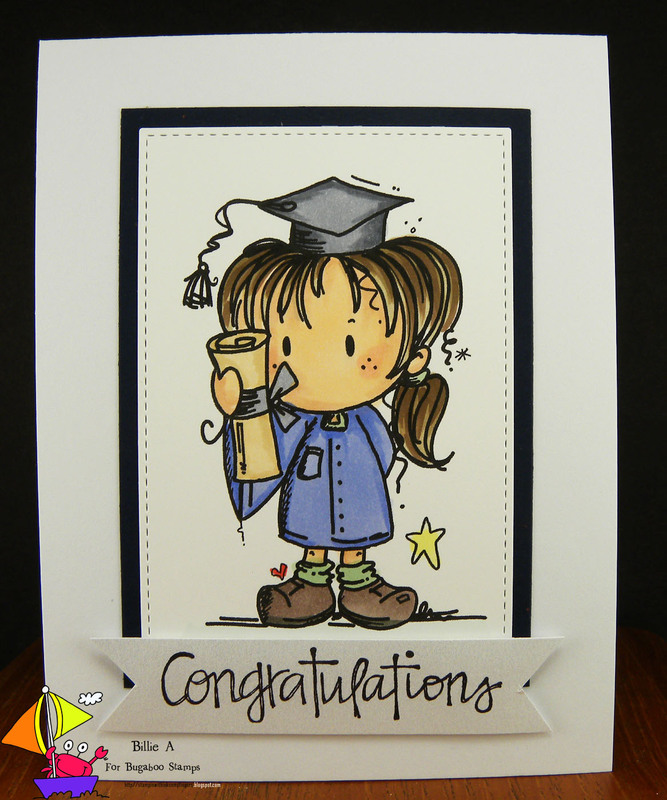 I then used some Rubber seed grass stamps and added them along the bottom of the card. I used two different Washi tapes and added them under the grass. I colored the image with copics and fussy cut it out. I used foam dots behind the image. I embossed the sentiment from Tech. 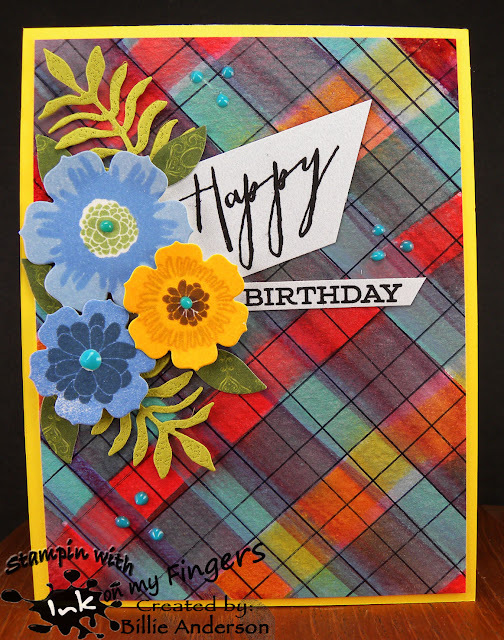 Tuesday with Stampin up black embossing powder. Added some orange sequins. The black behind the card is just background piece, not a part of the card. So lets see what you create.. I hope I inspired you. Well I was playing again in my craft-room.. I keep seeing so many medallion cards created and I knew I had a Stampin Up medallion and so I took an A2 size water color paper. I stamped the medallion and heat embossed with Simon Says antique gold. I then smooshed some Ranger oxide inks in blue, green, yellow on my craft sheet. I spritzed it with water and laid the water color paper in it. I then heated and spritzed with water and re-dipped in the spritzed watered down in and dried and kept doing this till I got the results I was pleased with. I then took my Paper Trey Ink flower die and cut out three sizes. I was going to use the stamp set with it... but I had so much going on with the background I didn't want the stamped flowers to be toooooo much.. So I just took some Ranger inks and sponged it on the flowers. I added a sequin to the center and added some Nuvo drops. I then added some die cut leaves by Stampin up.. (I do test kits for a local scrapbook company and I always have so many left over scrap pieces that are not big enough to use for backgrounds but perfect for small die pieces.. so I spent a long time die cutting scraps from the left overs from my cards and scrapbook scraps) I then took a Simon Says sentiment and using Stampin Up ink stamped and trimmed down and added. I added the flower and sentiment with foam dots. I was going to add sequins to the background but again it's so busy with the medallion I didn't want to over do.. What do you think??? It's Friday and you know what that means.. 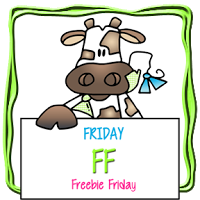 It's Free Friday at Catch the bug.. I hope you can head over to the Bugaboo Store and get this image while it's free.. 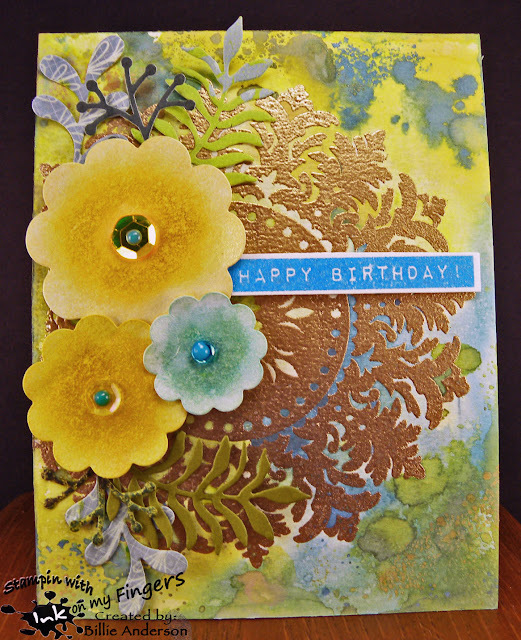 This is my card using the FREE image called SB flower swing.. I thought this would make a cute birthday card.. I used a piece of scrap Quick Quote designer paper. On one side is the dark purple and the other side is the lighter design. I used My Favorite Things circle scallop die. I used some OLD Quick quote purple ink and distressed the card base and the dp strip.. then threw it in the garbage.. the ink pad is so old. I bought it YEARs ago.. It's lasted forever (bought in 2012).. I love Quick Quote chalk inks.. 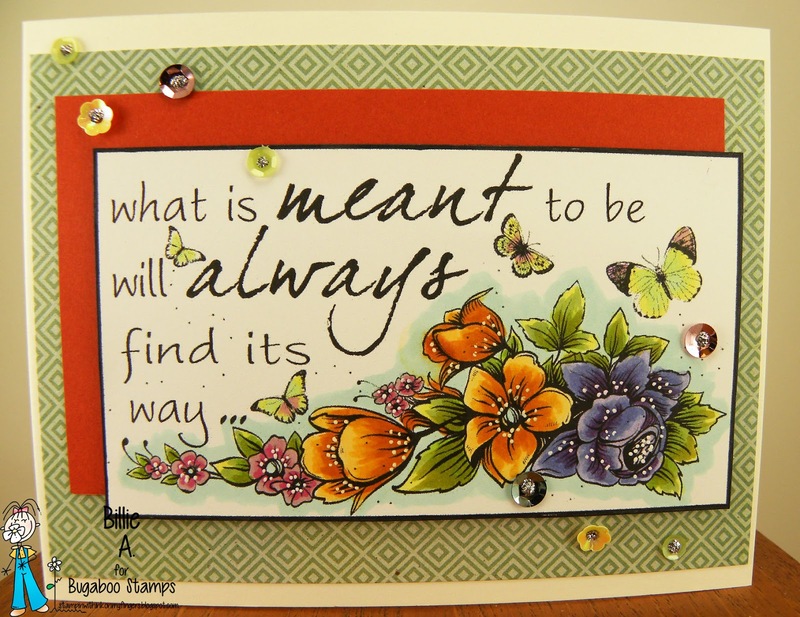 I added the sentiment which is from My Pink Stamper.. I then added some Stampin Up punched flowers and Martha Stewart leaves.. I added some Nuvo drops inside the flowers. I colored the cute image with copics and added Nuvo drops in the flower center and some white gel pen on the purple flowers and her head band.. It's a Sweet image and it would be good for spring, birthdays, mother's day, Easter.. Changing up the colors you could use this year round. Maybe even Christmas with some Christmas colors.. Hope you head over to the Bugaboo store and pick up this cute image. 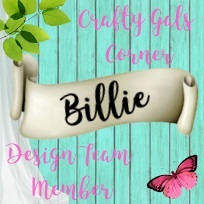 If you need more inspiration head over to the Catch the bug blog and see the DT inspiration. 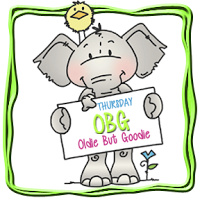 Welcome to Catch the bug where being Thursday it's OBG - Oldie But Goodie day.. This is my card using the Bugaboo image called Meant to be... you can find it in the Bugaboo store. I colored the image with copics and then used my white gel pen to add dots. 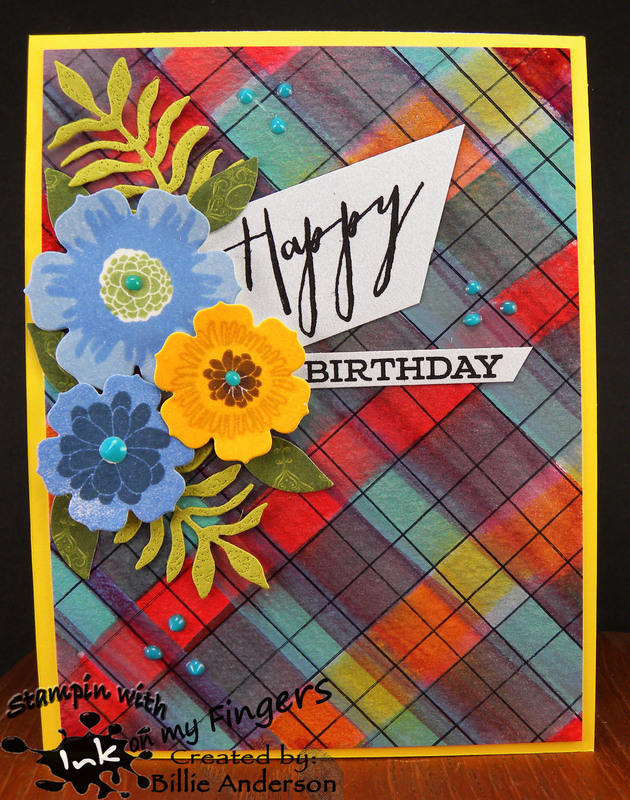 I layered the card and added some sequins and stickles. This card was so easy to make..BUT!!! I had filled my copics a few days prior and my orange colored decided to blob out .. !!!!!!HORROR!!!!!.. it was the last color I was using of course.. SO I used my "0" pen to push it back as much as I could and it still had that tinge of color where it shouldn't of been so I took the blue copic pen and went around the image.. OH now I am glad it did blob out because I love the way the blue now makes the colors pop more then before.. I guess it was a happy error.. horror.. 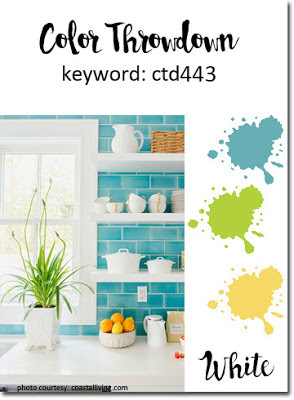 I hope you check out the images at Bugaboo and pick up this pretty image. 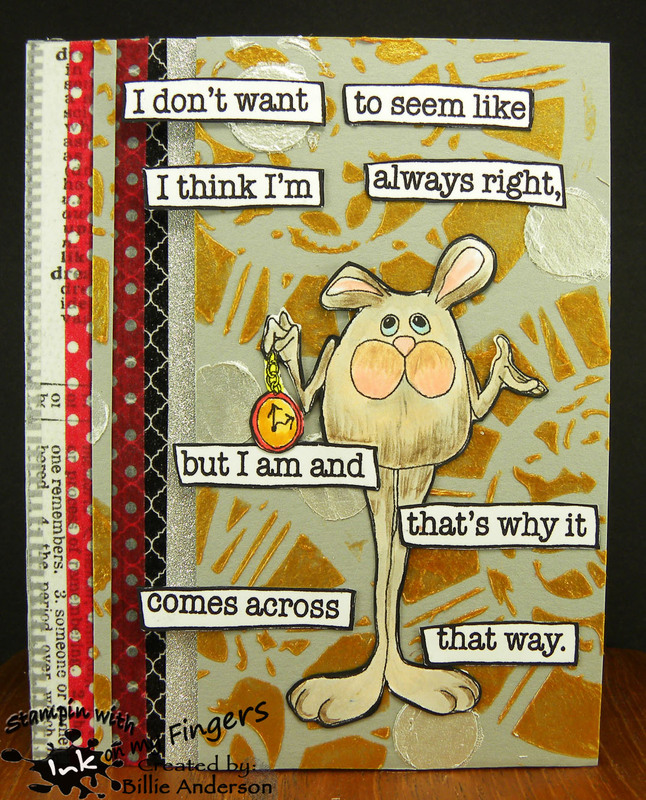 This is my card using Alice Rabbit.. I had plans to go for an Alice and Wonderland looking card but after trying one time and not liking I went with this. I used a Tim Holtz stencil and gold texture paste and did the clock background. When dried I took some Silver Nuvo paste and did the dots which is also a stencil. I then cut the card down and thought what will I do with that left side. 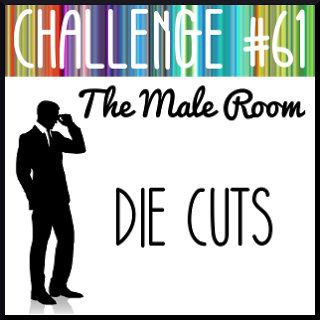 I took some Washi tapes (there are 5) and added them. The red look too wide so I took a small strip from the cut off and added it down the center of the red. I colored the image with Copics and added some Prisma color pencils in different areas. I took a cute Dylusions sentiment and cut it apart and added it. (my hubby said that sounds like me!! WHAT??!! ok maybe a little) I hope you can head over to Aud Sentiments and get some inspiration from the DT. 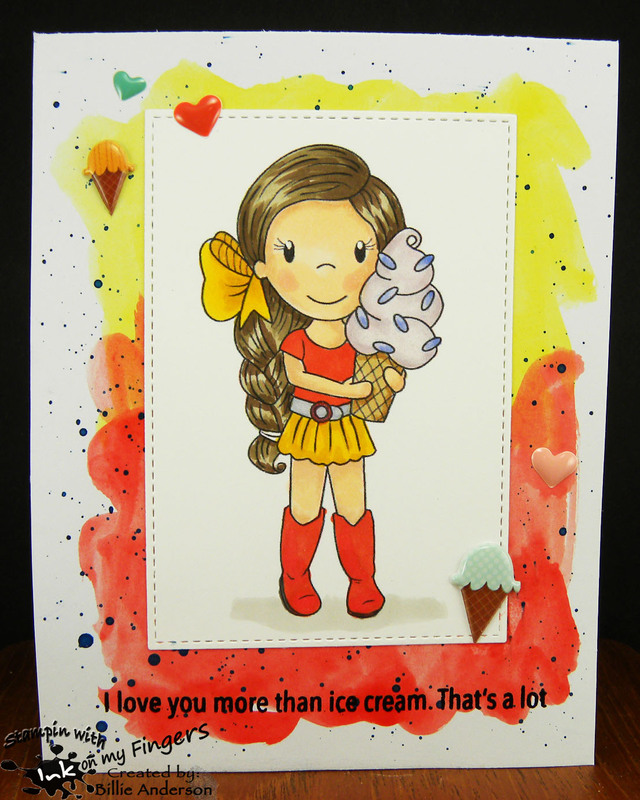 This is my card and I am using Ice Cream Avery... Cute little girl and fun just in time for summer.. I could and do eat ice cream year round and do.... I need to eat it during the day.. I have issues having it at night.. bummer. but sleep is more important than ice cream.. I took my card base and added the yellow and red water color paint and splattered blue (on the card ... my desk and anything within shot.. dang those spots can sure fly).. I dried it and then used copics to color the image and staying with the water color painted colors. I used My favorite things stitch die and cut her out. I added some Spectrum Noir glitter pen to the ice cream, boots, belt. I heat embossed the Simon Says sentiment with Stampin Up black embossing powder. After I adhered the image I added some My minds eye and Ek stickers to the card. If you head over to the Inspiration Destination site you can see what the DT did with their image.. Get some inspiration if you need it.. Thanks for stopping by and ALWAYS thanks for the lovely comments. Catch the bug --Anything But a Card..